The 33-year-old, who burst onto the scene with Liverpool in 1997, is hanging up his boots. STOKE CITY STRIKER Michael Owen has announced that he is to retire at the end of the season, calling time on a career which lasted 16 years. “I now feel it is the right time to bring the curtain down on my career,” said Owen, 33, who has been limited to seven appearances for the Potters this season. Owen, one of only four English players to win the prestigious Ballon d’Or award, first burst onto the scene as a teenager with Liverpool in 1997 before moving on to spells with Real Madrid, Newcastle United, Manchester United and Stoke. He made his senior England debut against Chile in February 1998 and went on to star at the World Cup in France later that summer, grabbing global headlines with a sensational solo goal against Argentina in the second round. After helping Liverpool to three trophies in 2000/2001 he collected the Ballon d’Or, beating Raul and German goalkeeper Oliver Khan to the prize. He signed a big-money move to Real Madrid’s Galacticos in 2004 but returned to England a season later when he agreed a move to Newcastle. The latter years of his career — which included an unforgettable late winner for Manchester United against rivals Manchester City — have been hampered by injury and a lack of first-team football. In a short statement issued through his website, Owen thanked those who have worked with him throughout his career and paid a very special tribute to his father. Email “Michael Owen announces decision to retire at the end of the season”. 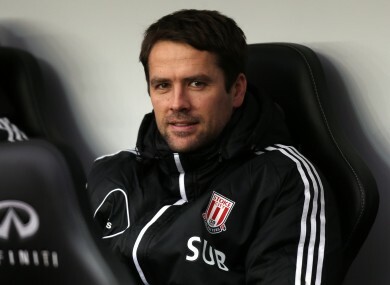 Feedback on “Michael Owen announces decision to retire at the end of the season”.